rakkup is the free app that brings the best climbing and backcountry skiing guidebooks to your iPhone, iPad, or Android device. Acadia NP, Maine. Photo Vincent Lawrence. Easy to install, easy downloads! Get rakkup from the App Store or Google Play Store today. Purchase and download any rakkup guidebook in seconds, here or in our mobile app. We’ve partnered with the best guides in the business. Our guidebooks feature comprehensive coverage of climbing and skiing areas, crucial beta from local experts, detailed maps, and tons of great photographs. The Shield, Yosemite. Photo Mark Hudon. Turn-by-turn navigation to every climb, and offline topo maps for your backcountry snow adventures. Spend more time climbing and skiing, with no guesswork. 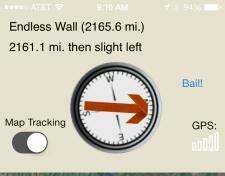 GPS works even beyond the reach of cell service. Stay on route, all the time. Dolomites, Italy. Photo Todd Kutzke. Create a digital guidebook quickly and easily with rakkup’s web-based guide builder. We handle the technical parts, so you can focus on getting your content to the marketplace. Acadia NP, Maine. Photo Grant Simmons. 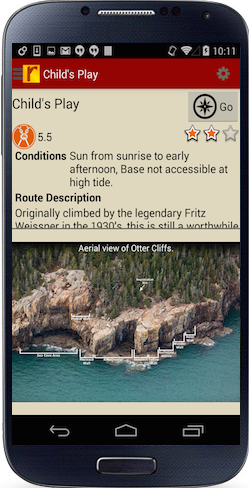 Use rakkup's maps view, topos, and photos to get an overview and details of crags, ski slopes, or bouldering areas. New River Gorge, W. Virginia. Photo Mike Williams. Select routes to match conditions and your abilities with rakkup’s instant filtering, then get there without a hitch. Oukaimden, Morocco. Photo Jeremy Jones. We’ve partnered with the best area authors and publishers. Get trustworthy beta, beautiful photos and topos, and frequent updates from local experts. Explore the crag with rakkup’s area maps, topos, and belay-view photos. 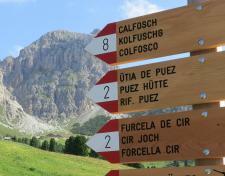 Powerful search and filtering lets you personalize your climbing area. 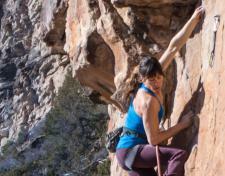 Want to see all the 5.10b sport routes and V5 problems in the sun right now? Plan a week’s climbing, or just the afternoon. 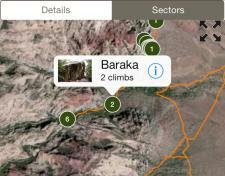 rakkup uses GPS and detailed trail info to choose the fastest route to your climb, from wherever you are. No cellular signal? No problem! Thinking about creating a guidebook for your area? Find out about rakkup’s authoring tools. We handle the technology so you can bring great content to the marketplace.